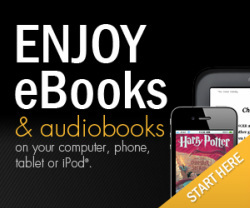 The North Pike District Library makes eBooks and eAudiobooks available to patrons through the OverDrive system. All users need is a valid NPDL library card and pin number. Don't know what your library card number is or have your pin? Call the Library and someone will be happy to help you.